COLUMBUS — Looking to continue its three-game win streak, the Ohio State men’s basketball team will face Illinois at home on Thursday. 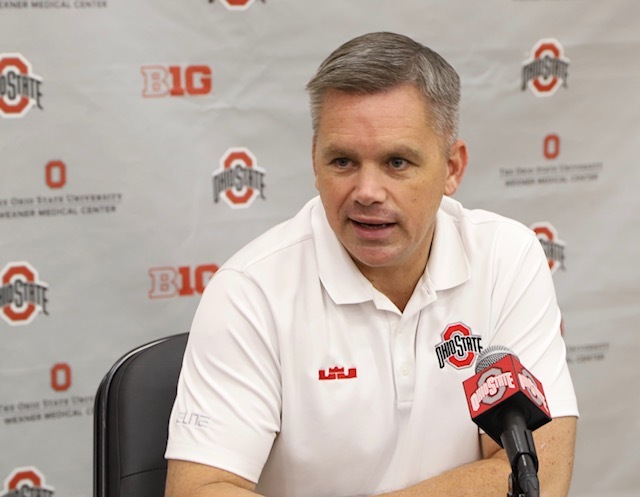 The game will be aired on ESPN2 and tip is set for 7:00 p.m.
Buckeye head coach Chris Holtmann, sophomore forward Kaleb Wesson, and freshman guard Luther Muhammad met with the media on Wednesday to preview the game. Here’s a summary of what was said. + Illinois is playing really well. They are a much different team than when they faced them in December. They are feeling confident and some of their younger kids have a lot more game experience under their belt. + On getting better at turnovers throughout the year last year, he said Jae’Sean Tate helped them a lot. This team lacks a burst in physicality with the ball right now. + A month ago they tried to simplify things offensively to try and correct the turnovers issues. They started practice on Tuesday with 25 minutes of working on turnovers. The older guys need to embrace it and make better decisions. + On grinding out wins, Holtmann says resiliency is required in moments like that. In those games that are close, players win games. He used C.J. Jackson’s play as an example. He is starting to see some of that, but he is looking for consistency in that area. + Guys are understanding what they can bring to the team. But when they’re making shots, it hides some of those issues. + He wants the guys to play with a level of freedom and confidence. That is important to him but sometimes a byproduct of that is them making mistakes. 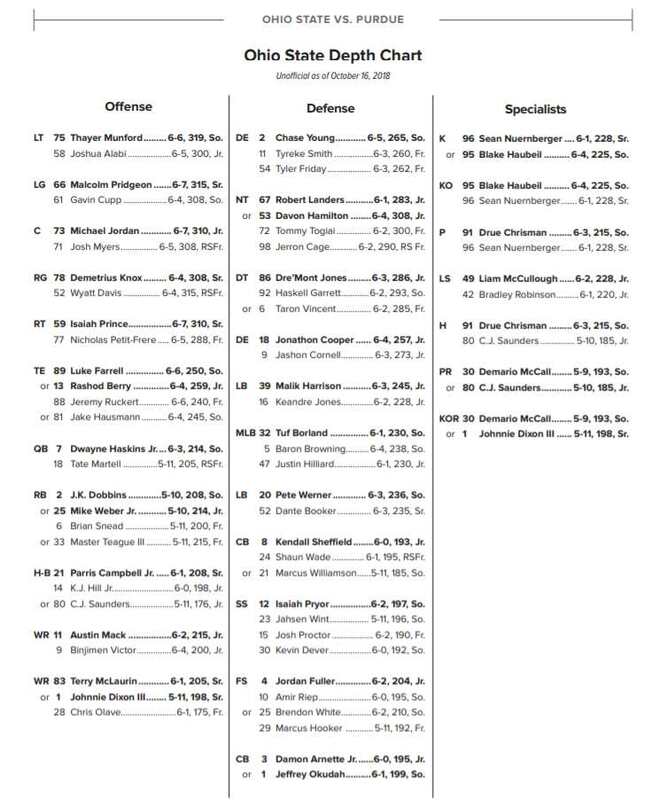 + The changes made to the offense a month ago were pretty drastic. He has never done that before. He didn’t feel that the coaches were putting the guys in the best possible positions to win games once teams were playing them differently. + In the Penn State game with so many pauses near the end, he hated how choppy it was. He even said to the officials during one break, “let’s go, let’s play” and the official told him to go back to the huddle. Holtmann said it doesn’t make the viewing experience as friendly, which should be important to them as coaches. + Holtmann said he did watch a bit of the Penn State and Michigan game and the Butler game on Tuesday night. + Illinois is very physical on defense. They also have a lot of weapons offensively. They are a tough team to play when their offense is clicking. + This team focuses on controlling what they can control and moving on to the next play in games. + They get in a rhythm and they get too comfortable. They have to go possession by possession. Last year they had more older guys and they were very good at that but this year it is just about growing, with some growing pains. + It gives him a lot of confidence seeing his teammates work through him. + On seeing Andre Wesson getting the game-winning dunk, he said it was what the team needed. The ball flows through him but it was good seeing Andre get some shine. He told Andre that he needs to frame that picture and put it up in the house. + A lot of tough teams played on Tuesday night and these games are meaning something. + They have a team where anybody can hit the winning shot any night. + On taking care of the ball against Illinois, he said they have to be tough with the ball and not make careless passes. He compared the Fighting Illini to Penn State defensively. Muhammad said they are going to have to execute. + He feels that they are getting better at making better decisions. The coaches are on them about it in practice and that is helping them take better care of the ball in games. + On grinding out wins this month, they have been executing plays and they are staying with it. They don’t hold their heads down after a bad play or pass or when the other team goes on a run. They have been staying together and they are trying to make every possession count. + He watched the Duke and Louisville game on Tuesday and it reminded him to not get comfortable. Watching that game reminded him to always stay in the game and not get comfortable with a lead. You can watch the full videos below.